The Cowboys pulled off the upset over the Longhorns in Stillwater, and with the Big 12 now in chaos, here's what we take from the game. 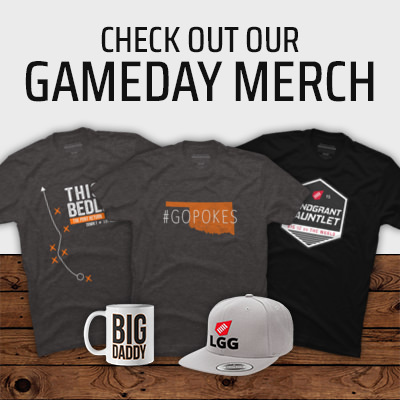 Making Our Week 9 Big 12 Picks! There are a couple of games to look forward to today, and we're making out picks! Not a lot of change following a week with just two Big 12 games. We're almost halfway through Big 12 play. My, how time flies. My, how the numbers rack up. Making Our Week 8 Big 12 Picks! There's a new number one, while the Cowboys are in a free fall. Here's the LandGrant Gauntlet's Week 8 Big 12 Power Rankings! Some Big 12 teams are trending up, while some are going the other way. A few interesting stats appear to bear that out. We already know who won and lost, but who was the best dressed in week seven? Breaking down the Wildcats upset win over the Cowboys, and what it means for both teams.